With the elusive green jacket still dangling out of reach, Rory McIlroy remains calm and composed about his Grand Slam prospects. Rory McIlroy has again insisted that he is “positive” he will complete his career Grand Slam at the Masters ahead of ‘Take Five’ in that quest in April. Only five players have won all four of the modern Majors but none of that fantastic five needed more than three attempts to win the final leg to enter the most exclusive club in golf. McIlroy will return to Augusta National again looking to join Gene Sarazen, Ben Hogan, Jack Nicklaus, Gary Player and Tiger Woods as the only players to have won the Grand Slam. A year ago, McIlroy headed off in the final Masters group but again faded to finish fifth behind American Patrick Reed. Prior to that he was fourth in 2015, T10th in 2016 and T7th in 2017. 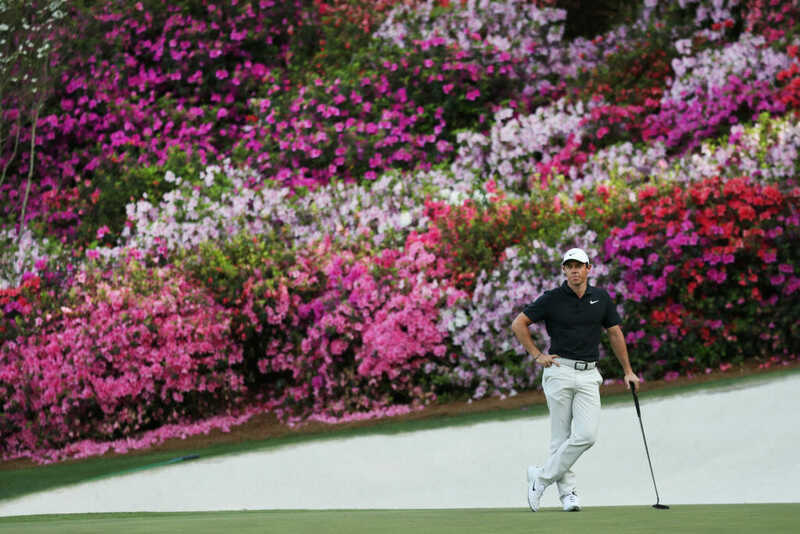 “I look at my experience at Augusta as a journey, a journey that started back in ’09 when I played my first Masters,” McIlroy said in an interview on the Golf Channel. “I had a great chance in 2011 and I’ve had some chances after that but every year I go back to Augusta I get more-and-more comfortable with the golf course, with what I am trying to achieve. “So, for me it’s about the journey. I’ve gotten better there. I have got more comfortable there with tee shots and shots on and around the greens. I keep giving myself chances. “I’ve had five top-10s in a row there. I’m doing all the right things by putting myself in position, so I just have to stay patient. That’s my thing. “Obviously, I would love to be able to complete the Grand Slam before I am 30-years of age but you look at some of the greats of the game and they did not start winning Majors until to their early or mid-30s. “I’ve got time but at the same time I feel like I am at a place where I am very comfortable with my game right now and I am doing everything I think I should be doing. “It’s all about putting myself in a position to win on the back nine on Sunday and that is all I am thinking about – just give myself another chance and see how I handle it. Meanwhile, two events into his new-look season that began in Hawaii and included last fortnight’s Farmers Insurance Open, Mcllroy is happy with his move full-time to the U.S.
“I started my New Year in the Middle East for the last 11-years (Not completely correct as he commenced 2017 losing a play-off at the BMW SA Open in South Africa – author),” he said. “My first full year on the European Tour was 2008 and every year since then I have started in Abu Dhabi and Dubai, so this year was a little bit different. “I’ve played two tournaments and I’ve had two pretty good finishes, two top-fives with a fourth at Kapalua and a fifth at Torrey Pines. “I have enjoyed that,” he continued. “I’ve not had to travel as much and I have been closer to where I now consider home and that is Florida. “The way the schedule has worked out to now base myself in the United States for the first months of the New Year is a smart move, and I am trying to play enough knowing also it is going to be a very busy summer with a lot of tournaments going sort of back-to-back.